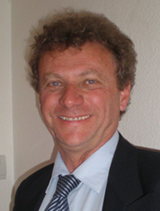 ALAIN LEPLAIDEUR, Agricultural Engineer and Doctor in Rural Economy, Alain Leplaideur lives an active retirement: ex member of the Comité Scientifique d’Action Contre la Faim and President of the Association CARI which works in oasis and arid regions. After a career as a senior researcher in CIRAD, on agrarian and trade in the local products system approaches, he joined the Ministry of Foreign Affairs to take responsibility for the issue of research in biodiversity, in environment and in sustainable development on the totality of tropical areas where the MAE has projects on. Then, as the Research Manager in the IRD, he took responsibility for one of its 5 departments, the Support and Training Department of Southern Scientists, where he used research management techniques for the promotion of Africans, Latin-Americans and Asians research teams. 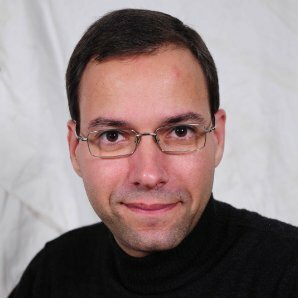 VINCENT WALLAERT is Head of the Europe Department of the Aix-Marseille-Provence Métropole (MAMP). 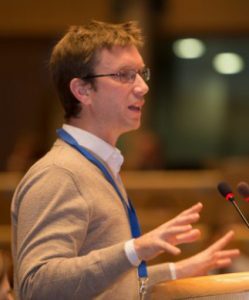 He previously held, from 2013 to 2016, the position of Head of the Cooperation Unit at the Agency for sustainable Mediterranean Cities and Territories (AVITEM), while teaching territorial economics and project management in Masters at Aix-Marseille University and at Science Po Grenoble. ANNE LE NAELOU, lecturer in sociology, she is a director of the Institute Of Economic And Social Development Studies (IEDES) of the Université Paris I since 2010 and co-leader of the UMR 201 Development and Societies’ axis. She’s founder and responsible for the professional SHS master’s degree “Crisis: Emergency Interventions And Development Actions” since 2000. Her work focuses on analysing the evolution of international assistance and solidarity, especially professional practices, professionalization and expertise. 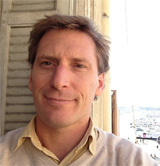 MARC LESCAUDRON is currently evaluator and trainer within Prospective & Cooperation. He was programme manager of abilities reinforcement of local actors in Western Africa, in the Mediterranean and in Latin America for 14 years. Within this context, he was in charge of feasibility studies, programmes’ conception and supervision. He has a D.E.A in International Relations History from Sorbonne and the Universidade Federal da Bahia (Brezil), a Masters’ Degree in Organisations of Development’s Sociology in the IEDES (Institut d’Etudes du Développement Economique et Social- Paris I Sorbonne) and a Master’s Degree in Humanitarian Action and Law from Aix-Marseilles-University, lecturer in the Sorbonne- IEDES and in the Université d’Aix-Marseille since, he practices the principles of the active pedagogy and masters the tools of the participative institutional analysis. Finally, he sponsored and led evaluations for several ONG and international organisations in Africa, in the Mediterranean and Asia. 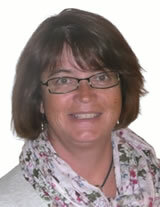 JEAN GAUDART is a doctor, specialist in Public Health and Professor in Biostatistics. His research focuses on analyzing the spatio-temporal dynamics of epidemics, particularly malaria and cholera. In particular, he developed mathematical models to assess the relationship between transmission, especially malaria, and various factors such as the environment, economic behaviour and mobility. He has been working closely for about 16 years with the Malaria Research and Training Centre (MRTC) in Bamako, Mali (Pr Ogobara Doumbo), and he currently leads the Epidemic Dynamics and Territory research axis within the UMR912. He is also responsible for a Master’s degree in Public Health, Societies, Developments (Aix Marseille University, distance learning), with nearly 60 students per year, and is a PhD supervisor for doctoral students from many countries (Mali , Burkina Faso, Senegal, Togo), in collaboration with local research partners.